God of Carnage won a Tony Award as Best Play of 2009. Film star Lucy Liu adds star power to the marquee. It was great to see the superb Dylan Baker on Broadway. Giuliano photo. 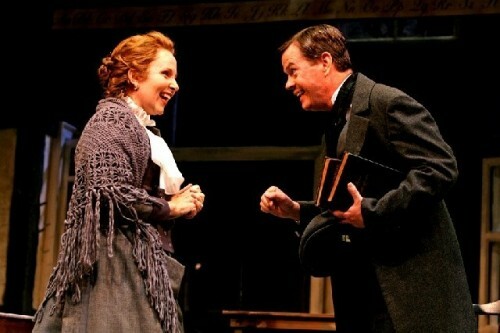 Baker opposite Kate Burton in the Corn is Green at Williamstown Theatre Festival. Jeff Daniels returns in the role he originated. Janet McTeer won an Oscar nomination for Tumbleweeds. Cast: Dylan Baker (Alan), Jeff Daniels (Michael), Lucy Liu (Annette), Janet McTeer (Veronica). 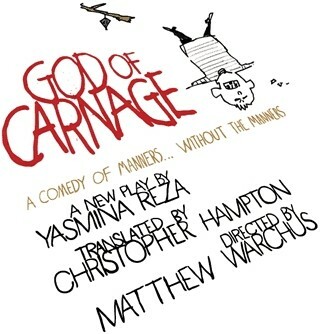 Recently the hit comedy by Yasmina Reza God of Carnage made yet another cast change. The current star is Lucy Liu who is known for such films as Kill Bill, Charlie's Angels, Chicago, and Kung Fu Panda. 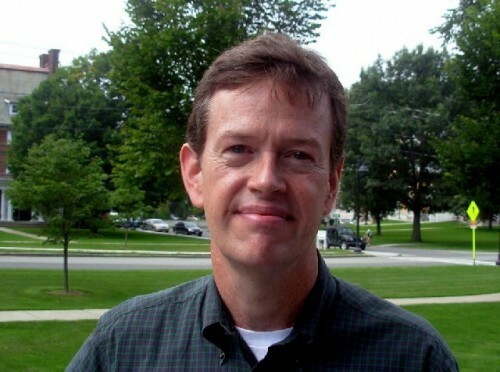 Dylan Baker is less of a marquee attraction but well known to Berkshire audiences. Last summer he directed his wife in The Torchbearers for the Williamstown Theatre Festival. Previously he stared opposite Kate Burton in The Corn Is Green. Recently he had a role as a smarmy character in the hit TV show The Good Wife. Last year he played a villain in the critically acclaimed television series Kings. Baker will end his run with God of Carnage to return to Williamstown Theatre Festival this summer in Our Town directed by Nicholas Martin. 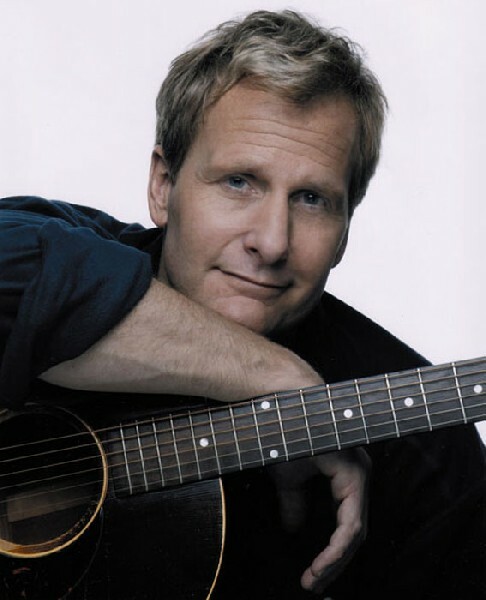 Jeff Daniels (Michael) who was nominated for a Tony returns to the cast which has gone through many incarnations. 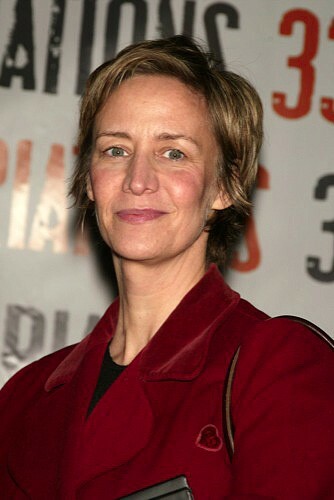 Janet McTeer plays his wife Veronica. Reza's comedy was awarded a Tony as Best Play of 2009. In this hilarious production Baker was the glue that bound together all the madcap action, nasty turns, and over the top physical comedy. The success of God of Carnage represents the current formula on Broadway. It has a small cast of just four characters with a bankable name. Currently, Liu. The production with a simple set and generic costumes is cost effective. The pace of the play is brisk and the 90 minute, one act play zips by with never a dull moment. Particularly toward the end as the plot becomes ever more outrageous fueled by an excess of designer rum served neat. The characters end up in a tug of war for the bottle resulting in long swigs off the jug. As we noted recently during a staged reading of Reza's Art, co sponsored by WTF and the Clark Art Institute, she writes intricate and snappy dialogue. In Art it is about how three friends fall apart in an argument about a minimalist painting. The plot of God of Carnage revolves around a meeting between parents about an altercation between their sons. It seems that Benjamin, the son of Liu (Annette) and Baker (Alan), has taken a stick and smashed the son of Daniels (Michael) and McTeer (Veronica) in the mouth. The injured boy has lost two teeth. The upscale parents meet to attempt to come to a civilized resolution of how to pay for and settle the conflict. Yes, boys will be boys, but there has been a violent assault resulting in damages. Initially, they negotiate the language of a signed statement. Alan, whom we discover is an attorney, insists on non inflammatory, legalistic wording. Michael and Veronica agree to the changes. But she wants some satisfaction in the form of a meeting between the boys and an apology. Cautiously she posits that the attacker is dangerous. Alan surprises them by stating that their son is "a savage." We gradually come to learn why. In brilliantly orchestrated increments, their cordial meeting breaks down. It gets ever more nasty. Particularly, when the couples turn on each other and then on their spouses. We witness fragile marriages structured on suburban manners and social status. In this regard the combo of Alan and Anette have the upper hand. When asked nfor nher profession by the housewife, Veronica, Anette answers that she is in "wealth management." Michael makes a good living selling plumbing fixtures. During the constant interruption of cell phone calls we learn that Alan is the worst kind of corporate lawyer. He is spinning the revelation that a prescription drug has fatal side effects. These were never revealed by management. We discover that he never even wanted to attend this meeting. The women initially support each other until things fall apart. After Anette barfs all over the coffee table things get messy. Annette departs to clean up while Veronica obsesses about damaged rare art books. As a gesture of good will Michael breaks out the designer rum. By then things go haywire. Alan evokes his belief in the God of Carnage. That boys must evolve through a phase as savages in order to accept and conform to the standards of civilization. But Reza brilliantly reveals how easily, when pressured, all of that civility evaporates through stress, circumstances and lots of rum. By the end of the evening the cast is flung about the stage in chaotic bathos. There are lots of outrageous surprises and the play ends with the parents more bashed and battered than their boys. While the characters were all losers the audience emerges as the clear winner. There was much to like about this production. The acting was superb with a nice balance between all four characters. While the marquee name, Liu, was cast to sell tickets she is the weakest link. As a film star she lacked the big voice and broad projection demanded by the stage. Nuances and small gestures that play well to the camera did not carry here. But when the part called for fast and outrageous physical comedy Liu was just superb. There was engaging chemistry between Daniels and Baker. The down to earth, nice guy Michael was the only character with redeeming qualities. They were effectively brought out by Daniels. It is revealed why he won a Tony nomination for originating the role. McTeer was excellent but not entirely believable in the arc from perfect wife and hostess to harpy on toast. It seems she has a drinking problem. This is revealed then Michael refused to pour her a drink and struggled with her for control of demon rum. Indeed. Overall, the set and costumes were effective. The simple stage has an interesting. free standing, ceramic wall behind the couch. It provided just a hint of suburban designer chic. But the chairs were a mismatch and seemed way too Home Depot. The costumes were generic, tailored and business like for Baker and Liu. There must be a lot of dry cleaning. While this superb new cast breathes sustained life into God of Carnage there are now on line deals. On a Friday night there was a full orchestra but the theater was about a third full in the balcony. At least for now it is the most amusing and enjoyable show on Broadway. We will look forward to a fully staged production of Reza's Art this season at Barrington Stage Company.